Paintbrushes, cars, shovels, shells, sand toys, etc. 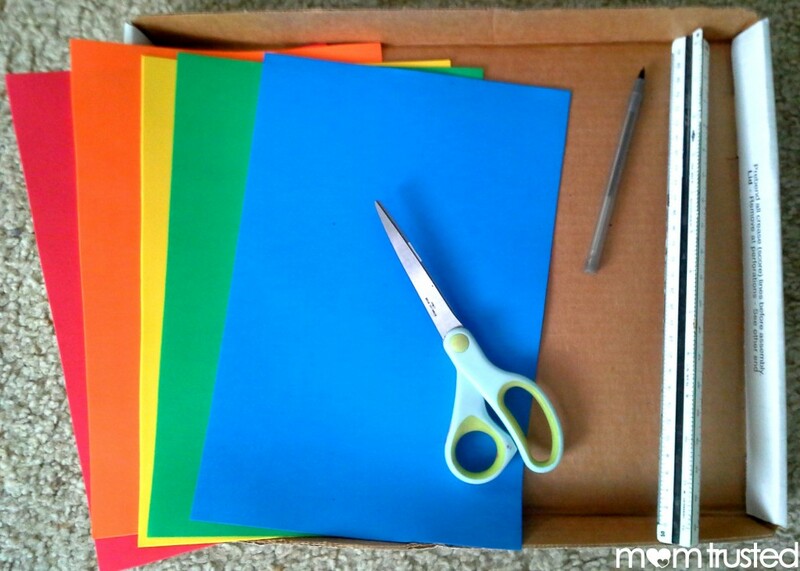 Step 1: Once you have all your materials ready, you’ll need to cut the paper to fit inside the box or lid. Step 2: Now that you have the sheets measured to fit your container, you’ll need to seal them in the contact paper. To do this, cut a sheet large enough to cover all of the papers. Peel and stick them onto the sticky side. Instead of cutting the excess contact paper off, I simply folded the extra onto the back side of the papers. Step 3: After you have created a mat out of the contact paper covered paper, you simply put it back into the box or lid. 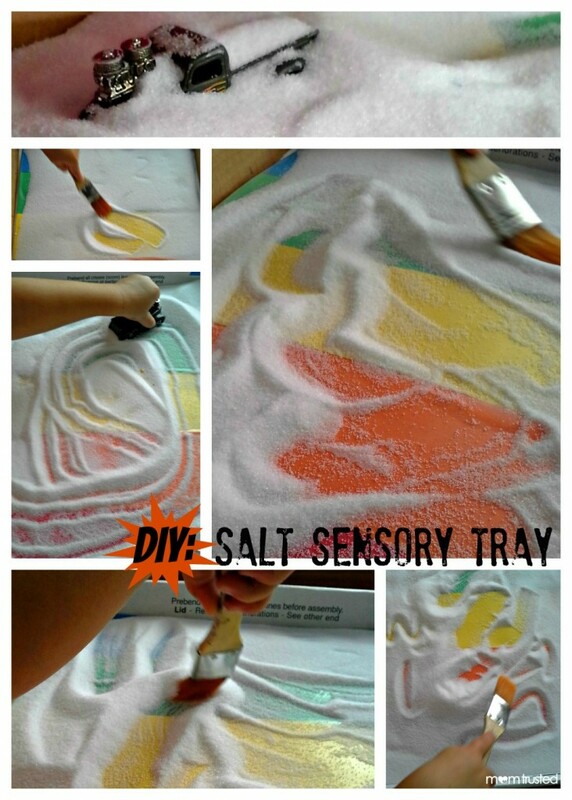 Now just dump out the container of salt onto the mat, grab some paintbrushes, cars, or anything that works well in a sandbox, and give the tray to your little one. Not only will s/he be working on fine motor skills, but s/he’ll be having a blast doing it!